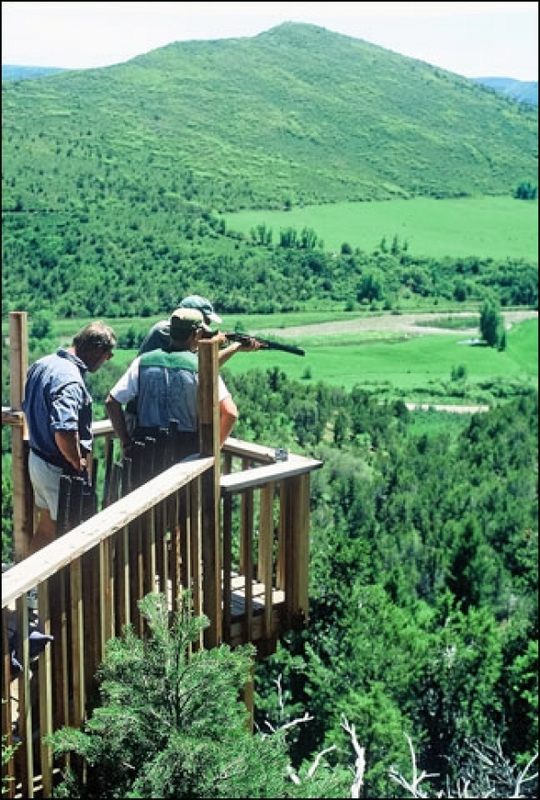 Over the years the sporting clays game has evolved from just targets thrown fast and far to an enticing mix of speeds, angles and distances. 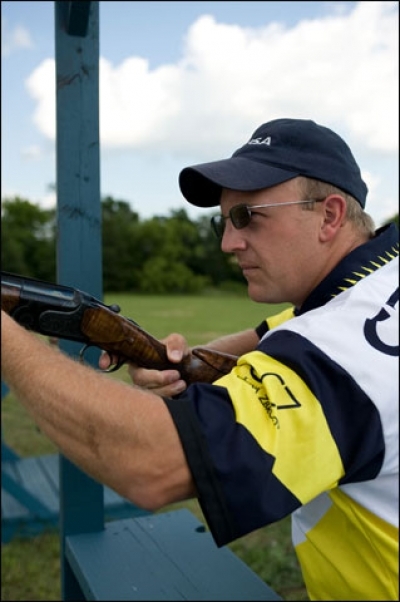 In the early years, throwing clays fast and at distance was a great way to challenge the best shooters, but doing so took the wind out of the sails of those new to the game. 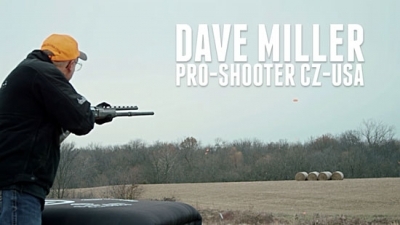 Dave Miller, CZ-USA’s shotgun product manager and sporting clays master class shooter from Grain Valley, Missouri, set out to do what no man has done before − to shoot 3,000 sporting clay targets broken in one hour. 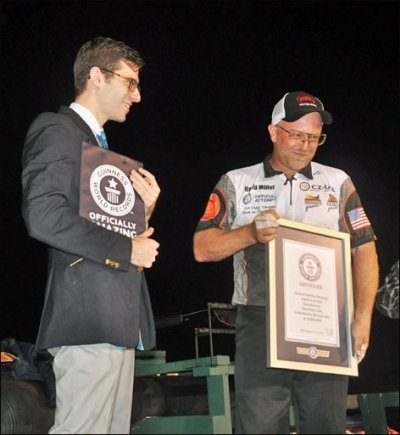 Imagine shooting a clay target every 1.2 seconds with a goal of shattering more than 3,000 within 60 minutes and suddenly you’re in Dave Miller’s boots as he attempts to set a new high in the Guinness Book of World Records. The idea of Touch-and-Go actually has its roots in aviation. New pilots use it to learn how to land and take off again. You come down for a landing, touch the runway with your wheels, and then push the throttle forward to take off again. 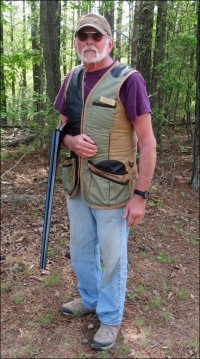 What does Touch-and-Go have to do with consistently breaking targets in sporting clays? It has to do with how you approach the target, touch it, and then pull ahead for the proper forward allowance — or lead as most people call it. After months of anticipation the Nad Al Sheba Sporting Championship in Dubai set new high standards for a sporting clays tournament with an inaugural event that attracted more than 550 shooters from all four points of the compass. 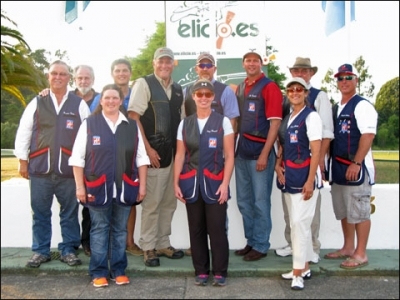 A total prize fund of $735,000 made it the richest clays shoot ever staged with cash paid out to 50th in the Men’s Division and 30th in Ladie’s, which provided plenty of motivation. 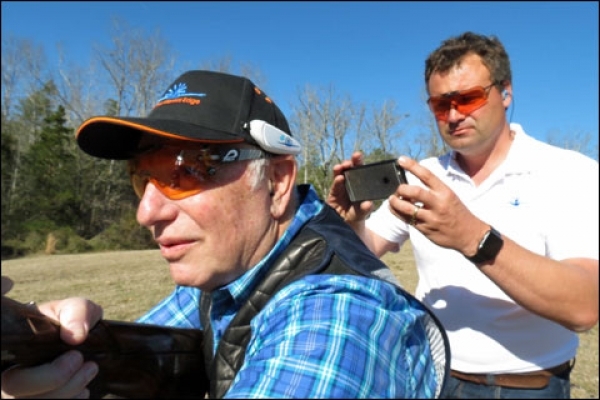 Sporting clays is often described as golf with shotguns and now the new Professional Sporting Clays Association intends to commercialize that depiction with five national broadcasts on NBC Sports beginning April.